A coalition of hunters, ranchers, landowners and conservationists recently said that since hunters are spending more money each year hunting the Rocky Mountain Front, the area should receive more funding and protection. The Coalition to Protect the Rocky Mountain Front cited data from the Montana Fish, Wildlife and Parks (FWP) which shows that Front hunters spent $9.8 million in 2006, an amount that grew to $10.4 million in 2008 -- during the heart of the recession. In 2010 hunter spending held steady, at $10.1 million. Of that amount, more than $5 million was spent on big game and $4.8 million on upland birds. "The numbers along the Front show public land hunting has not been as susceptible to the broader economic challenges facing other industries during the recent recession," said Randy Newberg, a Coalition panel member and host of the show “On Your Own Adventures,” in a Coalition conference call last week. "Hunting is annually renewable," said another panel member, Stoney Burke of Choteau, Mont. "It is not boom and bust. It is a huge economic stimulus for these little communities along the Front." The Front is an almost magical area where the eastern edge of the northern Rocky Mountains abuts Montana's prairie grasslands. It's a huge area that runs 150 miles north-south from Marias Pass to Rogers Pass, and covers more than 418,000 acres of public land. That includes three state wildlife management areas, the western half of the Lewis and Clark National Forest, and other state, federal and private lands. Ninety-eight percent of it is roadless, and immediately to the west of it is 1.5 million acres of designated wilderness. It's also a wildlife bonanza. Huntable species include whitetails, elk, mule deer, bighorn sheep, mountain goats and upland birds. The Sun River elk herd is the second-largest migratory elk herd in the U.S., and the area's bighorn sheep have been the source of sheep transplants throughout the country. In fact, the animal species now in the Front are basically the same (minus the bison) as they were when Lewis and Clark went through there 200 years ago. Coalition member Joe Perry said Montana and the nation need an insurance policy that will help keep economic numbers strong by ensuring the Front is managed the same way it is now. He sees that policy coming by way of the proposed Rocky Mountain Front Heritage Act. 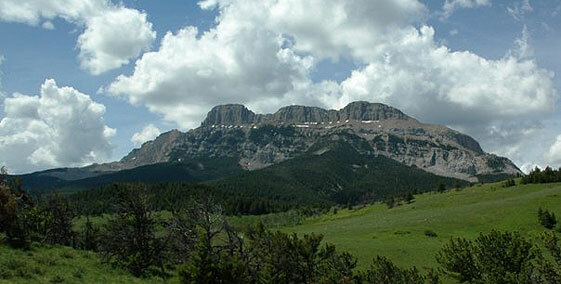 "The best thing sportsmen can do at this point is to support the Rocky Mountain Front Heritage Act," he said. "Right now, Congress is doing everything it can to eliminate common-sense conservation from public lands through bills designed to place every other use above the interests of Montana's hunters and anglers. The Heritage Act places sideboards on the Front to ensure that those habitats remain functioning and provide amazing hunter opportunity." "When you look at the history of the Rocky Mountain Front, starting in 1913 when the Montana state legislature established the Sun River Game Preserve in what is now the Bob Marshall Wilderness area, there's been a 100-year history of trying to make sure the Rocky Mountain Front stays wild country. "From 1913 to 1947, when [the state] purchased a large chunk of winter range for elk, into the '70s when they added more [habitat], to 2005 when the [U.S. 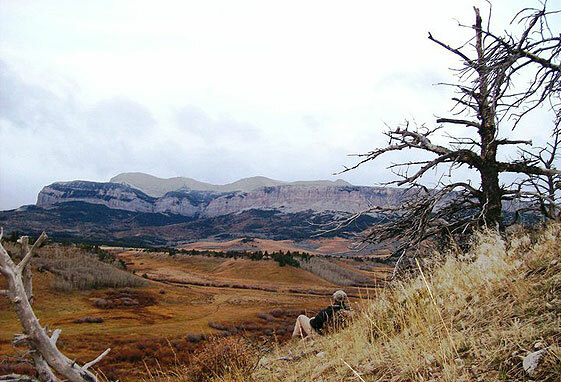 Fish and Wildlife Service] started the Rocky Mountain Conservation Program working with private landowners, now the need for the Heritage Act comes in. "It's the last piece of the puzzle that needs to be put into place to protect these [game] herds," he told OutdoorChannel.com. "Anyplace where you can sustainably create $10 million in economic value, business people say that's your core competency. “We need to protect that core competency, and that's really what [the proposed Heritage Act] does. It protects the lands hunters use the most.